Democrats have a new issue that the media is blitzing us with recently – the spectacle of crying children being painfully ripped out of the arms of their mothers and placed by heartless Nazi-like stormtroopers under direct orders of President Donald Trump, into metal cages, just because they don’t have their paperwork for admission to the United States. Allow me to introduce a few facts into the discussion, if I may. I am a first generation American, brought to America by Chilean parents, the old-fashioned way – legally. I grew up speaking Spanish at home while learning English, 47 years ago. I’ve lived in Fairfax County, Virginia, for the past 40 years. The most disturbing thing to me about this so-called debate about immigration, are that there really isn’t a debate. There are campaign slogans repeated by all the mainstream media endlessly, which have little or no connection to reality. I would like to give you some specific examples. I grew up in a household where my parents taught me the value of assimilation, a word which is almost a curse word to the political left in America. That means very simply, that we knew that America is the best, and we were going to learn more and adopt the culture of America, not try to continue to be Chileans while living in America. This is considered very old school by some. But there are still new Americans who came here to become Americans. I’m not the only one, even though you might not know this if you watch CNN or MSNBC TV. Please don’t misunderstand this idea. We still love our country of origin and so many things about where we came from. But we are Americans first, period. We are proud to be Americans. This country is the best in the world. If an immigrant cannot say that, then perhaps he should go back to where he came from. My parents were in search of the American dream and they wanted their children to have the opportunity to live a better life. I am the living proof that their dreams have come true – I do have a better life, I have made use of the opportunity, and I am grateful to my parents, to America, and to Almighty God. But immigration that was the fulfilment of the dreams for so many over so much of America’s history, is now becoming a nightmare. Especially the current policy it is becoming a nightmare for immigrants. Why? In a radical departure from past policies that have guided American immigration for so many years, liberal Democrats here in Fairfax, Virginia, have invited illegal aliens to flood the county. They are of course, marching in lockstep with the policies of the state and national Democratic Party and the liberals who control it now. These policies enacted by the Fairfax County Board of Supervisors and by Sheriff Stacey Kincaid, are designed to make illegal aliens feel welcome in our county. And that too, is in keeping with the national policies of the far-left which controls that party. These policies have adversely affected our community. It has hurt our schools and the safety and security of thousands of people in Fairfax, millions across America. They love to use the word “immigrants” to describe their policies of welcoming illegals to Fairfax County but, what the left doesn’t ever want to admit, is that their welcome mat is for illegals, and the people being hurt the worst by them, are the legal, first generation Americans such as the Latino community I have been a part of my entire life. As a young boy growing up in Annandale, Virginia I used to play with my friends at a local park called Holmes Run. We would play tackle football, went exploring in the woods, creek walking, and also played with our BB guns. This was normal innocent behavior for young boys in the late 1970’s and early 1980s. Today bodies of young Latino boys are being dug up by Fairfax County Police in the very same woods I used to play in. It is no longer safe to let your children go off on their own to some of the parks in Fairfax County. This is because of criminal illegal alien gangs that run rampant within the first-generation Latino community of today. This is caused by liberal political policies that kowtow to leftwing Latino groups run by aliens who have no intention to assimilate and become part of America. They have a different worldview. Call it what you want – communist, Marxist, former Sandinistas from Latin America, or just plain thugs, the liberal Democrats are creating a parallel third world in Fairfax County. A third world run by gangs such as MS-13 who brought their own culture with them, never mind assimilation. The very same culture that most of us legal, first generation Americans have tried to escape from, by moving to the United States, is being institutionalized by American liberals. Sadly, this isn’t something just coming from the far-left which controls the Democratic Party nationally, in Virginia and here in Fairfax County. These policies are also supported by some Republicans too. I think of them as Country Club Republicans. The closest they come to Latinos is when they hire an illegal to do their yardwork at much lower cost than hiring an American (including legal American immigrants). This past February 2018, 11th grader from Centreville High School, 17 year old Matthew Ortega, was murdered less than a mile away from Centerville High School. Matthew was murdered near the intersection of Lee Highway and Union Mill Road. Matthew was shot in the chest and murdered buy an 18 year old criminal illegal alien. Worst of all about that murder is that same criminal illegal alien was arrested the year before for committing another crime, was released onto our streets on probation, not deported, and today a mother grieves for the loss of her only child. This is a story that is being repeated in communities all across America, not just here in Fairfax County, Virginia. In neighboring Riverdale, Maryland, gang related fights are an everyday occurrence at William Wirt Middle School, just 10 miles from the White House. This ovewhelmingly Hispanic student body goes to school every day in an environment that sounds like a third-world country with gang signs on display, the sale of drugs right out in the open, gang graffiti and aggressive gang recruiting, especially aimed at the Latino students. Even the liberal Washington Post acknowledged this problem recently. These are the “animals” that President Trump referred to recently. MS-13 members, reported ABC-7 News of Washington, DC, brutally murdered a Maryland man by stabbing him more than 100 times, beheading and dismembering him. These stories are being repeated all across America, and now here in Fairfax County, Virginia. These are the illegals that liberal Democrats and their country Club Republican allies want to “welcome to America” and to our community. Bearing the brunt of the havoc, pain, chaos and suffering of these policies, is the very Latino community these liberals claim to be helping. 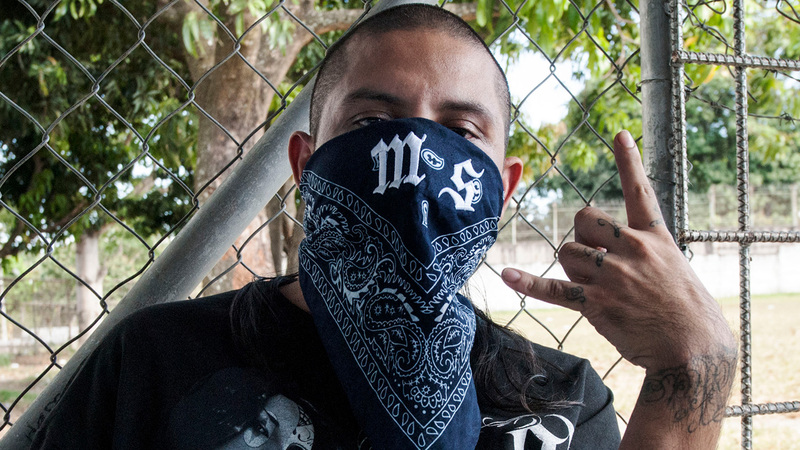 MS-13 is expanding rapidly thanks to the liberal policies which welcome them and give them fresh recruits such as the more than 200,000 unaccompanied minors relocated to communities across America such as Fairfax. Customs and Border Protection (CPB) reports than more than 39,000 unaccompanied minors have come into the United States this year. Our existing immigration laws should be enforced, for a start. Second, moderate Republicans should stop cooperating with liberal Democrats to allow more illegals to enter America. In Fairfax, we need to rescind the order given to police by the Chief of Police since at least 2008 where they are not allowed to inquire about citizenship at traffic stops. And even if the police know that someone is an illegal alien MS-13 gang member being held in jail, on the release date they are sent back into our community. Fairfax police aren’t supposed to cooperate with Customs Enforcement agents or turn the prisoner over to them for deportation. These policies need to be reversed so that our local, state and national policy is to defend our communities and our country from animals such as illegal alien MS-13 gangsters. The number one victims of illegal alien crimes are first generation Latino families in Fairfax County. I have spoken to illegal aliens soliciting their labor for work in Annandale, many times, and spoke to them concerning their job opportunities and safety. The answer that I consistently have gotten was that if there were less illegal aliens coming into the country there would be less competition for jobs and it would help to increase their wages. All the new men that are arriving into our country illegally, are desperate, hungry, and are willing to work for less. Compared to where they came from, even low American wages are terrific. Ironically, flooding our county and our nation with more and more illegals, actually hurts the interests of illegal aliens who are already here. Those who are already in America want to work, make a living, but the added illegal population makes that difficult for all Americans who already live in Fairfax County. When jobs and money become hard to get, this leads to an increase in desperate actions and becomes a breeding ground for stealing private property for resale and the selling of illegal drugs. The more illegal aliens arriving into Fairfax County, the greater the sanctuary within our county caused by the Chief of Police and the Sheriff creates more crime. By doing the minimum to discourage illegal aliens from moving into the county, the greater the recruiting opportunities among the young first generation immigrants (legal and illegal) for organized criminal illegal alien gangs, morst notably, MS-13. There are young boys and girls, as young as 10 years old, who are being recruited into gangs, forcing boys to sell drugs and little girls to prostitute themselves after school. The way these gang’s are able to make these children participate in illegal activity is by brute-force in many instances, and by desperate youngsters in other cases. Children are being enticed not only by violence but by being paid more money than they could get by honest work. Gangs threaten to kill their siblings, kill their parents, and turn their families over to ICE to be deported if they do not participate in criminal activity. The body count of teenage Latino children in Fairfax County and other communities all across America is growing. The entire community suffers as these children are raped from an innocent childhood, torn away from safety and security, which young Latino children grew up in back in the late 1970s. The bullying at an extreme level, is directly connected and created by liberal policies that encourages this immorality and which have no chance of helping the Latino and other immigrant communities they claim to be helping. The liberals who push such policies which enable gangs like MS-13 to grow, get away with claiming that they are helping Latinos and immigrants. They are lying. Here’s the truth. Liberal Democrats current control all of Fairfax County’s governmental system. The Board of Supervisors, Sheriff, Police Chief, School Board, and the appeasement by liberal Republicans on the national, state and local Fairfax level, encourage lawlessness by bowing to propaganda of being a global citizen, multiculturalism, and worst of all cultural relativism, the view that all cultures are equal. They go into meltdown when people like me speak about assimilating, and how America is the greatest nation on earth. I’ve been labeled a “racist” for not going along with the liberals on immigration. You may recall that President Trump was accused of being a racist because – they said – he had called all immigrants “animals.” They lied. He called MS-13 “animals.” But, many months before he said that, I was kicked off the State Republican Central Committee that I was elected to by country club Republicans who said the exact same thing about me – that is, my labeling terrorists who torture and kill as “animals” meant I was calling ALL people of Muslim faith, such. “Racist and bigot” is the favorite name-calling tactic of the left to smear those who speak truth to their power. Liberals hate assimilation which is the idea that America is great and we who were born in another country want to become a part of this culture. Liberals hate those of us who want to remove criminal illegal aliens who commit crimes in Fairfax County, and discourage illegal aliens to come to Fairfax County, as hateful racist bigots. The liberal system that has been created in Fairfax County is creating a cultural decay which erodes safety for our children, for immigrants and for all Americans. The negative spot light caused by criminal illegal aliens upon the majority of the good, decent people of the Latino community, whether their immigration status is legal or illegal, is an ugly spot light that all communities want eradicated. They want our law enforcement to do everything in its power to protect the community and not the minimum that is being done today, where the emphasis is on welcoming illegal aliens, even the ones who commit additional crimes. We need change from the policy that is threatening our country and our community. This change can only happen politically. Having political leaders accountable for crimes and murders caused by illegal aliens must begin. This can only happen if we have people brave enough to spread the truth. Most first generation families came to this country because this was a country that respects law and order, not crime and corruption. No, this isn’t a debate about immigration. President Donald Trump and conservatives do not oppose immigration. They aren’t “against” immigrants. That is a blatant lie by partisan political hacks who are saying this to recruit first generation Americans and make them into solid Democrats forever, and to create hatred against Republicans. Democrat policies are literally killing Latinos in Fairfax and killing legal immigrants all across America today. Second, those complaining about President Trump’s policies towards “the children” who didn’t have their paperwork, are skipping over the truth here also. The fact is that the law is being enforced today, the same as it was under President Barack Obama, concerning children attempting to enter the United States. When a minor child with his family enters the United States through any of the ports of entry and then asks for asylum, the immigration authorities do not act like Nazis and take the children away from their family as the liberals claim. The family is kept intact all through the asylum application process. That is the truth. It is the same policy now as it was under President Obama. There were no complaints from liberal Democrats during the Obama years when this was done. No reports of “anger” and “outrage” – the words constantly repeated on the mainstream media to describe this policy still in force under President Donald Trump. If the asylum seeker who enters the United States legally is refused entry because it is determined he is not a political refugee but simply someone who (understandably) wants to improve his economic situation, then the family is returned to their country of origin – as a family. The child is at no point separated or taken from his family. And, just as in the past, if someone attempts to break into the United States illegally – let me repeat – by breaking the law – then they are detained by the authorities as the law requires them to do, and deported. And just as with American citizens, when someone is sent to jail, they don’t get to bring their children to jail with them. Why should there be a new and better system of child-care for accused criminals who are illegals, than there are for Americans accused of criminal conduct and put in jail? The American revolution continued and expanded liberty and a pluralist society which began with the advent of Christianity in the 4th century. This country is the most welcoming country on earth for foreigners. America welcomes more refugees than all the rest of the world combined. Its about time that we defend the traditional welcome mat America has extended – that we welcome only those who follow our laws and want to assimilate and be a part of our culture. It is about time we protect our communities from the animals who break the law and threaten our safety, MS-13. It is about time we end the policies that help the gangs thrive. It is about time we reject the liberals welcome mat for illegals and protect the first generation Americans and all Americans. We have every right to protect our culture and our lives. Let us do so. *Fredy Burgos, Executive Director of Americans for the Trump Agenda. He is a former GOP State Central Committee Member for Virginia. He is also the Editor of BurgosTruth.org. Further information, TrumpYes.org. Write Fredy@BurgosTruth.org.